These records are in the form of financial receipts that were found at Bishop’s Stortford police station and the period covered is 1898 to 1904. Many of the records refer by name to individual members of the police force or to local people. They mostly relate to Bishop’s Stortford and surrounding area, but also occasionally involve other police from other areas of the county. Many of the items show evidence of having been kept on a metal spike. The receipts for the fees paid for the service of warrants for property possession, and for arrest warrants executed for other police forces. From named individuals: most offences are not stated, but where they are they include highway offences, drunkenness and use of obscene language. The owners or their agents signed receipts on the return of lost or stolen property: items include jewellery, watches, purses, cash and cheques, a wide range of farm animals and equipment including cows, pigs, horses and carts. Clothing and underclothing include ‘a pair of drawers, a packet of sweets and some oranges’ returned to their owner. Clothing also includes the lists of clothes and personal items found on dead bodies and returned to next of kin. 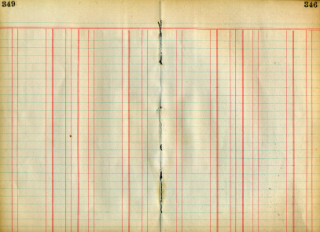 Monthly lists of sums paid by named members of the force to the Police Mutual Aid Association with occasional notes of the death of serving officers. Regular records of donations to the provincial police orphanage and to the reform schools office. Travelling and subsistence expenses, issues of gloves and boots, and of copies of bye-laws on bulls, and of the Wild Birds Protection Act. There are also receipts for money paid by local businesses and shared among staff as Christmas boxes together with records of the distribution of donated pheasants. Including subsistence (at 5d a meal), and for medical attention of the living and for washing of the dead. This page was added on 13/12/2013.